The Health Resort & Medical SPA Panorama Morsa in Jarosławiec is a well-proven place, full of attractions for everyone! Choose one of our 400 rooms barely 350 m from the Baltic Sea and enjoy! 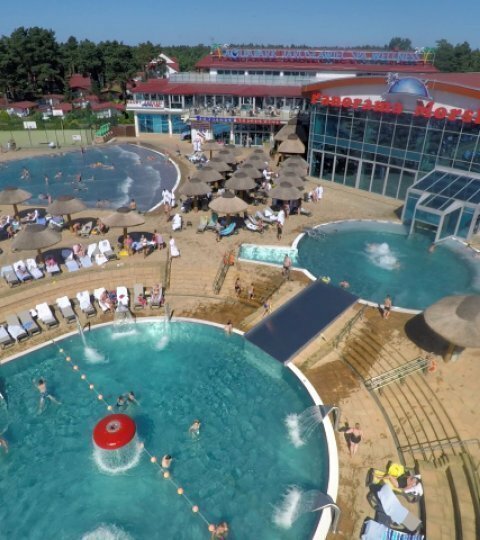 The seaside complex Health Resort & Medical SPA Panorama Morska in Jarosławiec is a perfect choice for your family! Lots of attractions every single day, the sea waves just a step of your door, professional services, concerts and theme parties - and that is all included in the price! Every day a group of animators organizes special animations for children in the Health Resort & Medical SPA Panorama Morska. There are team sports, fitness tests and dancing but also our Aquapark attractions, prepared specially for the llittle ones! It's time to get going, fun is waiting just outisde the door! You will organize here a training, a conference or an integration stay but also lots of other events, as well! We have 5 conference halls and 5 training rooms. The reception desk provided us with all the possible information as to the meals and programme prepared for the stay. The room was comfy, the bed linen and towels very clean and smelling soo beautiful. However, the most surprising thing was the extremely diverse buffet with a rich menu, 10 hot dishes, many salads and pastas, always fresh and pretty decorated. We will certainely recommend this hotel! 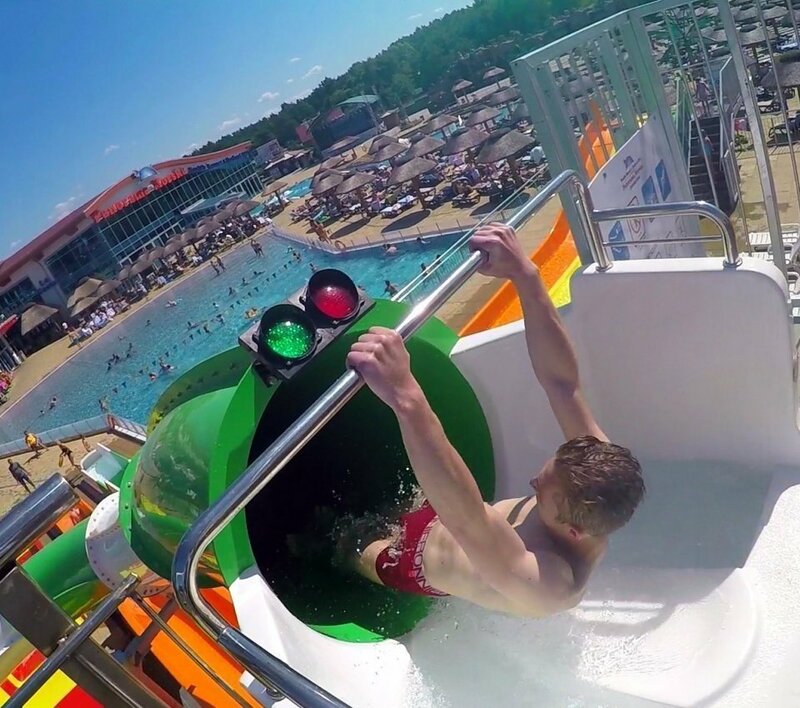 The Health Resort & Medical SPA Panorama Morska provides adventures and great fun each and every single day of your stay. Literally, with no exaggerations or shallow flattering. Specially for our guests we have prepared daily professional animations, concerts and theme evening included in the price. Dancing events, karaoke and traditional campfires with pea soup and roasting sausages. For the fans of a healthy lifestyle there are free fitness classes, aerobics, aqua aerobics and gym. Sport lovers can play tennis, ping-pong, football and volleyball. On the premises of the Panorama Morska you shall also find grill stations, Jordan gardens and health tracks. For the bath fans we provide a salt cave with waterfalls. Come to us, this will be a nice stay! 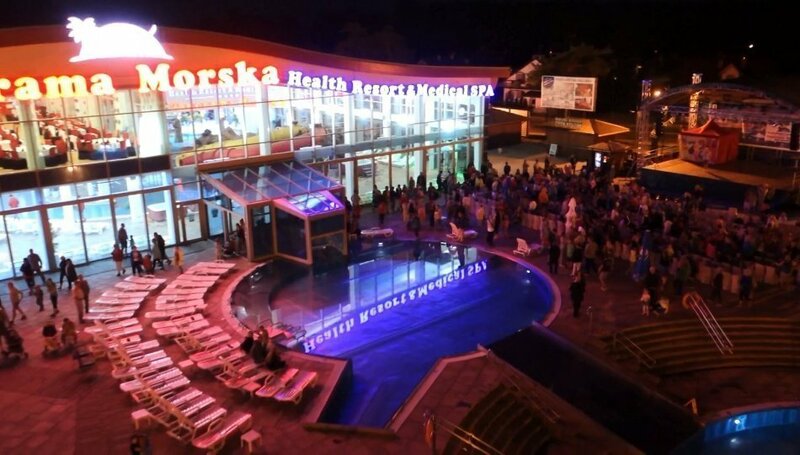 The Health Resort & Medical SPA Panorama Morska also offers paid Nordic Walking classes and relaxation in the wellness area with sauna, saunarium and Jacuzzi with reinforcing and regenerating baths The cost of access to the wellness zone is 80PLN per person. For the sake of the common security and comfort of all the persons staying in the Health Resort & Medical SPA Panorama Morska has introduced a system of individual identification (SII), which secures the exclusive use of the services provided by our complex. The Health Resort & Medical SPA Panorama Morska is available only to persons having the identification mark in the form of a hand strap. The Individual identification excludes the possibility for unauthorised people to stay and use the spa equipment. Please have the identification with you during the entire period of stay in the Health Resort & Medical SPA Panorama Morska. Simultaneously, please bear in mind that should you lose or destroy the ID or possibly have it stolen, unauthorized persons will be able to benefit from all our services. In the Health Resort & Medical SPA Panorama Morska in Jarosławiec a system of non-cash payments is applied. The Panorama Morska cards are the only form of payment at the hotel. The payment cards can be purchased at the reception desk of the Health Resort & Medical SPA Panorama Morska and at the cash office of the Aquapark by paying in cash or by a credit card. From Gdansk, heading for Slupsk and from Słupsk the way to Sławno. From there go directly to Jarosławiec. Our resort is located in the main street – Bałtycka Street, on the left side. Entry into the car park of the object is located at the speed bumps. From Poznan go to Pila, then Szczecinek, later Bobolice. From Bobolice go to Sławno by Koszalin or Polanow. From there drive directly to Jarosławiec. Our resort is located in the main street – Bałtycka Street, on the left side. Entry into the car park of the object is located at the speed bumps. From Szczecin go to Goleniów, then Nowogard, later Koszalin and Darłowo. From there drive directly to Jarosławiec. Our resort is located in the main street – Bałtycka Street, on the left side. Entry into the car park of the object is located at the speed bumps. Using the railway station, take the route to the town of Sławno. From there you can reach us by bus or bus. There are also buses or taxis from to take you from Ustka to Jaroslawiec. At the disposal of our Guests staying here during therapeutic camps or rehabilitation sessions / spa stays / family stays / there is a laundry with 8 automatic washing machines and 4 dryers (all by the brand MIELE). The devices can be activated after having thrown a token (additional cost). Entry to the register of entities engaged in the therapeutic activities no 32-00899 kept by the Voivod of Lower Silesia, entry to the register of the centres/32/0049/12; entry to the records the camp organisers OR/32/0033/13. NIP 899-100-20-61; REGON 930372144 - 00039. Could there be more magic on Earth? Come here, find your soul anew in the bliss of a long yearned-for satisfaction for a more beautiful, more soothing oasis was there never. If staying at the seaside, then only in Jarosławiec – a health resort which dates back to the sixteenth century. Once a fishing village, the hidden treasure of which was amber, today this place attracts with the magnificent sunsets, for many years the cleanest water on the central coast and a myriad of other attractions. During your vacation in Jarosławiec you just can’t miss climbing a more than 33-meter lighthouse, the light of which is visible from a distance of 16 nautical miles. An additional attraction are viewpoints located on top of the dunes covered with the sea holly. In the cosy arms, the warm embrace of calm forests, enriched with the cleanliness of water and friendly atmosphere of the place, you shall find a nirvana for your aching soul. If a pleasant stay at the Baltic seaside, then only in Jarosławiec. All the Guests of the Health Resort & Medical SPA Panorama Morska will benefit from the vacation in this place to the fullest. Now it’s time for you to join our little family.